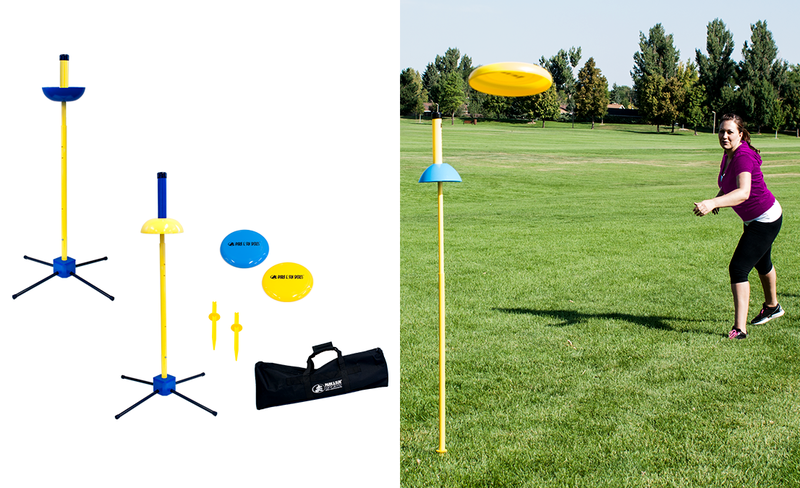 2-Piece Power Tetherball Pole - Beef up your game with the Power Tetherball set; great for your permanent or semi-permanent fixture. 3-Piece Deluxe Tetherball Set - Our Tournament deluxe set comes in 3 piece durable sections that do not sacrifice durability, but aid in end of season storage. 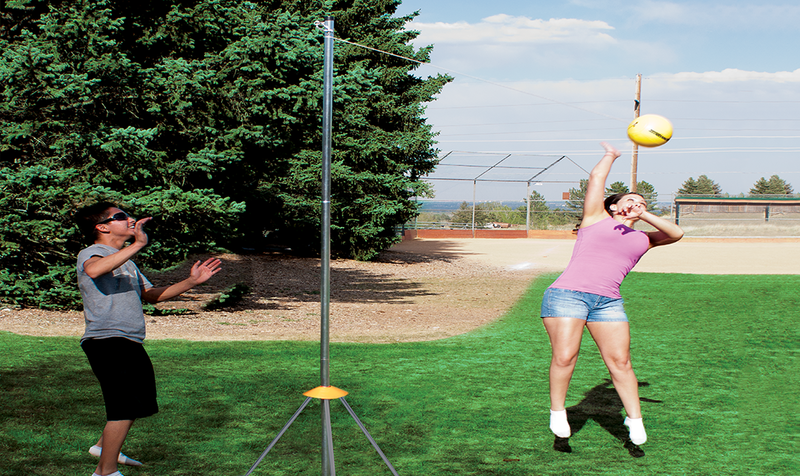 3-Piece Portable Tetherball Set - You have a mobile phone, why not have a mobile tetherball set? Time to rollout the pallino and start spocking the competition, with a fun game of the international favorite Bocce. We have covered with our Bocce Elite Series, and office bocce court boundaries. Bocce Elite Pro - Official size Bocce sized bocce set for those who eat, drink, and sleep bocce. Bocce Elite Tournament - A family friendly size bocce set for those who eat, drink, and sleep bocce, and don’t won’t the kids touching their pro set. 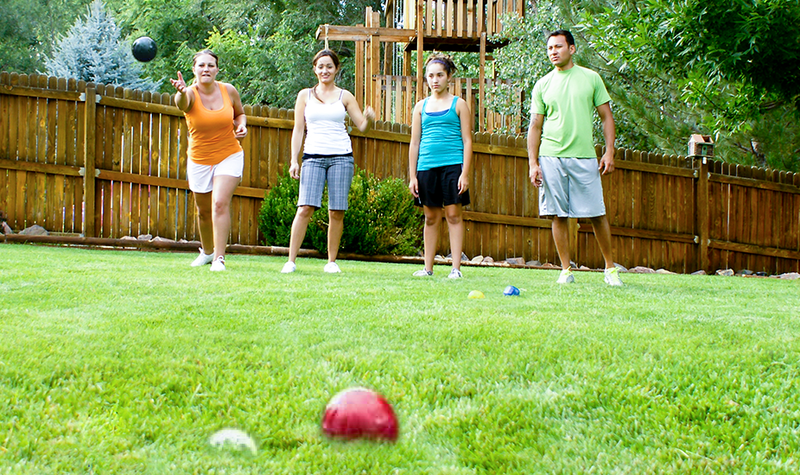 Family Orientated Polish Horseshoes; Great value, easy set-up for hours of fun with friends and family. 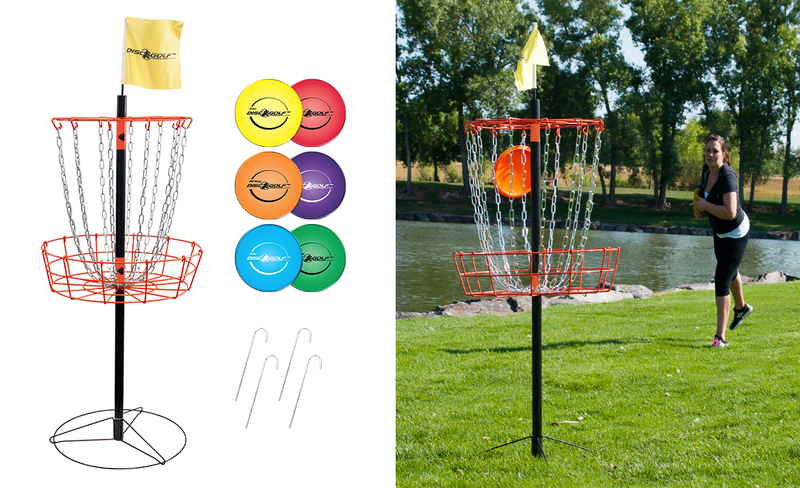 A great disc golf target basket for the avid disc golfer or the occasional weekend sport enthusiast. High visibility 12” x 12” flag and fiberglass rod. Durable welded wire sleeve lock canopy with Quick-set canopy chain hangers and center pole ring, 25¾ x 7” deep sleeve lock wire basket; 1¼” X 4mm zinc plated chain.